Birth Injury Claims How Much Compensation Can I Claim For? 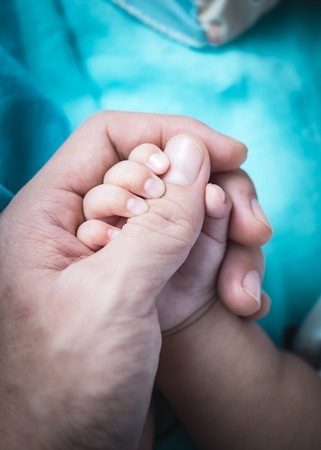 We can provide immediate assistant to those who feel that they have fell victim to birth injury negligence ensuring that the representation you receive is tailored to all your needs. If a mother or baby is injured during childbirth as a result of a medical professional and somehow been injured as a direct consequence then you may be eligible to pursue a medical negligence No Win No Fee claim. We are a leading law firm within the area of medical negligence and pride ourselves on the decades of experience our medical negligence solicitors have gained. We are highly recommended among not only our piers but also past and present clients that we have been lucky to represent which have lead us to have an exceedingly outstanding reputation. No one should ever be subjected to medical neglect, medical professionals and health care workers are there to help those in need of a health care service. By calling our free phone helpline on 0151 5505 262 you can speak to a highly experienced medical negligence solicitor who specialises in birth injury negligence or alternatively you can leave some contact details on an online contact form and a state a more appropriate time for yourself to have a solicitor contact you. Pain and suffering Each type of victims pain suffereng is unique and a lot can be agonizing pain. £1,000* £200,000 or more* This can be calculated on how long the pain lasted for. All figures are estimated and are only a guide and each and every individual case is completely different. *The examples provided are for illustrative purposes only, and may differ from compensation offered in your case. In this country we have an outstanding health care service, a system that is not present in many other countries, medical staffs dedicating much of their life to their profession. However, we are aware that not just of late medical mistakes are becoming a frequent occurrence and those mistakes that take place during labour and the delivery of a baby can have devastating consequences not just for the baby but for the family also. Preventing such medical neglect should be forefront in the medical profession and should never be allowed to take place. Many birth injury claims are also against NHS hospitals and hospital negligence in the UK is very common. Before we enter in to any contracts or litigation we offer all potential clients a free and confidential consultation with a medical negligence solicitor so that you can have your case heard and evaluated in order for you to gain some insight on how the case would stand up in court. It is important to say that even though you may have received the free consultation at no time are you at any obligation to appoint us as your legal representation. The consultation is there for you to get a legal view point on the case in question. On average we provide the majority of our clients a No Win No Fee agreement to pursue their case. No Win No Fee agreements are not as they use to be changes took place during April 2013 which meant that after this time medical negligence cases that were successful would mean that clients would pay up to 25% but no more of their awarded compensation as a success fee to their law firm however if the case did not conclude in the favour of the client then they would not have to pay any moneys to either legal team. It is vital to say that at no time is the client at any financial risk or would have to pay anything from their own pocket. The medical negligence team of solicitors that we are proud to have are some of the best in the country and will ensure that whatever your needs may be through this difficult time are met to their best ability. After 10 months of carrying a child the delivery date is long awaited and although it is a time of apprehension especially for first time mothers it’s a time of joy and happiness at meeting their baby for the first time. At the time of labour expecting mothers should be watched closely to ensure that both mother and baby are doing fine and the labour is progressing well. The slightest sign that there may be any complications should be noted and particular attention should be paid. Problems can arise for a number of reasons during child birth, midwives and doctors should always thoroughly read the notes of the expectant mother so that they are aware of any health problems the mother may have and any complications that may have occurred during pregnancy. Failure to even read medical notes correctly can lead to serious mistakes taking place and failure to act straight away on complications that are arising during the labour can mean devastating effects for the expectant baby. The most severe and devastating effects of child birth negligence are when a child is left with cerebral palsy or brain injuries as a result of the medical mistakes made during child birth. Such neglect and injuries can take place through the failures to monitor the baby correctly, checking that the baby’s heart rhythm is showing no signs of distress and that the labour is progressing steadily is very important. Failure to identify changes to the baby’s heart beat and not take action to deliver the baby safely in a swift and appropriate manner if complications should arise can mean that the baby may be starved of oxygen which can lead to many complications for the future health of the baby. No baby ever should be victim of child birth negligence, severe effects that lead from child birth neglect can mean severe lifelong health effects for the child, we do not claim to understand what family’s are going through when their child suffers brain injuries due to the errors made by maternity staffs but we want to help in the best way we can by securing maximum compensation so that any needs the family or child may have at present or in the future are met to the best standards. We can offer immediate assistants once the case is appointed to us, handling most of the work required to complete a case such as birth injury medical negligence. Cases of this nature can be complex, time consuming and often complicated at times. 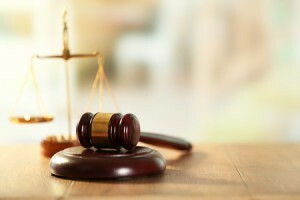 It is always important that whatever law firm you choose to go with you investigate first, to ensure that they have the expertise a case like child birth negligence requires and also a solicitor that you feel comfortable with, who you feel will merit your case and understands yours and your family’s needs. Speaking to one of our medical negligence team does not mean that you are obligated to appoint us as your representation but you could receive advice that would point you in the right direction and maybe answer some questions you have before you start any legal proceedings.